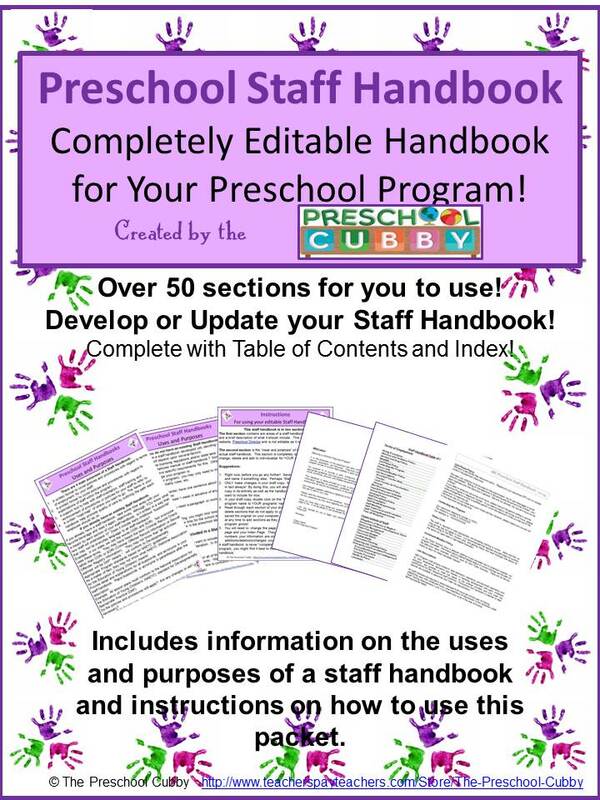 Develop Preschool Job Descriptions for Your Program Today! Preschool job descriptions are vital. They clarify details of each person's job responsibilities. They also help you to provide a thorough evaluation at review time based on what the know expecations are! As a preschool director, you should have them on file for each preschool position. Let share my years of experience in developing them with you to save you time! The purpose of a description is to ensure that each employee is aware of the qualifications for and responsibilities and expectations of, their position. They should be part of your preschool staff handbook. Typically the job titles are those listed in your state regulation handbook. However, you may have additional job titles based on your needs. Example: You may want to assign the title of Lead Teacher to one teacher in each classroom however your governing regulations may only list a child care worker, toddler teacher, preschool teacher and director. You can still have a Lead Teacher Position. In this case, the educational and experience requirements will be based on the regulations for a preschool teacher. You would then add any additional requirments you have for the position. It should list those required not only by your state/country regulations, but also the skills you determine essential to provide quality child care. State regulations may state that at least two staff members with CPR/First Aid training be on site at all times. Your program may require more, such as requiring that ALL staff be CPR and First Aid certified at all times. State regulations may require that a person have 6 college credits in ECE (Early Childhood Education) for a specific position, but your program may want someone who has more credits in ECE or specific course work (such as Positive Discipline or Curriculum Development). State regulations do not typically state physical requirements, however you may choose to list that an employee must be able to lift and carry 40 pounds (aka carry a child if needed). I recommend this because you need each candidate to know what is required of them. Yes, they may need to lift and carry a child. And yes, they will need to vacuum, move furniture, etc. Remember that your state/country regulations are the minimum requirements by law. You may add your own requirements to a position to meet the needs of your program. List the responsibilities for the position. You will not possibly be able to list each and every duty for every position. Unless your staff are part of a union (which is beyond the scope of knowledge for me! ), most job descriptions looked upon as a normal range of responsibilities and not all inclusive. I suggested added one of the last items in the description to be on the lines of "and to complete other duties as needed or required". State to whom the person reports. Will your teacher's aide report to the teacher? To the Lead Teacher? To you? It is important to be clear on this to ensure that your team knows who to go to with suggestions, concerns, etc. and keep lines of communication open. 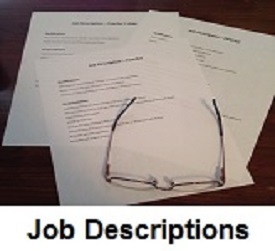 Are you looking for job description templates that you can simply modify for your program? I have created a resource pack that allows you to do just that! 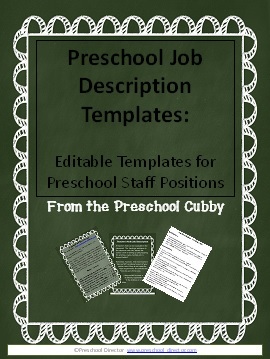 This resource pack includes job descriptions for the following preschool staff positions: Teacher's Aide, Assistant Teacher, Classroom Teacher, Lead Teacher, Assistant Director and Program Director. The templates are completely editable, providing you the option to change, delete or add to each one to meet the needs of your program and save you time! The teacher's aide can be invaluable in the classroom! The hands-on assistance in the classroom with the “behind the scenes” work of setting up and preparing for activities, snacks, lunches, etc. is beyond helpful! Remember, however, that most teachers’ aides are NOT considered as part of your classroom ratio if they do not meet the minimum requirements for staff that are qualified to be part of that ratio. Therefore, they are NOT to cover a classroom, be directly responsible for the supervision of the children or to be alone with children. The Assistant Teacher is much like the “second in command” in the classroom. There will be days when the Lead Teacher is out of the classroom, at a conference, on vacation or out sick. Your Assistant Teacher is the “one in the know” when it comes to knowing the individual children, the classroom schedule and routines as well as your program’s policies. For these reasons, I recommend that your Assistant Teachers have the minimum qualifications required for a teacher. This will allow the Assistant Teacher to lead the class in a consistent manner in the absence of your Lead Teacher. This job description assumes that a program has a Lead Teacher in each classroom. In this case, the Classroom Teacher reports to the Lead Teacher. Many programs do not have a Lead Teacher designation. In that case, the Classroom Teacher holds the responsibilities of the Lead Teacher. If your program does not have a Lead Teacher designation, I suggest that you use the Lead Teacher job description and change the name to Classroom Teacher. Many programs do not have a LEAD TEACHER designation. If you hire teachers rather than a lead teachers, use this job description, changing the name of the title to Teacher or Classroom Teacher. If your program DOES have a Lead Teacher AND a Teacher designation, use this job description for your LEAD teacher and use the Classroom Teacher job description for your TEACHER. The Director of the program may need to be out of the building, at a conference, on vacation or out sick. Many programs, depending on the size, have an Assistant Director position. Many state regulations require that you assign a qualified person to assume the duties of director in his/her absence. If your program does not have an Assistant Director position, I recommend that you assign a qualified teacher to assume this role in the Director’s absence. (Their contract can include verbiage stating how they will be compensated with a specified amount per hour/day for any time they do assume these duties). The Director of the program is the person responsible for all aspects of the program. He or she is responsible for everything from soup to nuts! They oversee curriculum; supervise, train and support staff; maintain relationships with the children and families and promote the program in the community. Delegation, time management and inter-personal skills are a must for this position. In summary, a job description is a way of letting each staff member know the duties and responsibilities of their particular job. It can be used help motivate staff to grow in their position and can be used as a tool in evaluating staff, developing professional development training for staff and in the overall supervision of the staff. A job or position description will not cover items like calling in sick, snow days and the like. That information should be part of an employee or preschool staff handbook that you develop.